This bouquet is available for delivery in Brisbane, Melbourne and Sydney only (please note presentation wrap may vary from what is pictured). 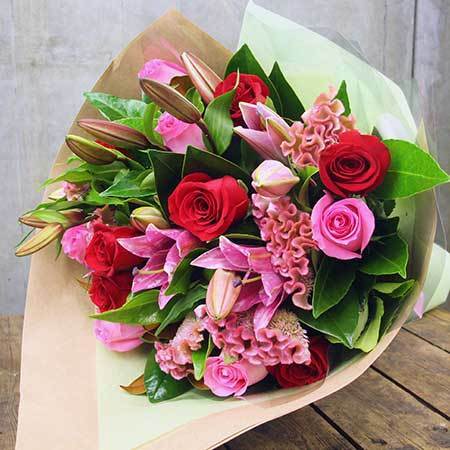 Do you wish to send similar style flowers elsewhere in Australia? Give our floral consultants a call on 1800 66 66 46 or email sales@flowersforeveryone.com.au and our team of professionals can provide suggestions and a quote based on the location you wish to deliver to.